There’s really not much more to be said: an ajumma (in this scenario, Korean equivalent to a senile bag lady) came into the English building, hiked up her skirts, and peed at the bottom of the staircase on the floor. A coworker was privileged enough to witness it happen. 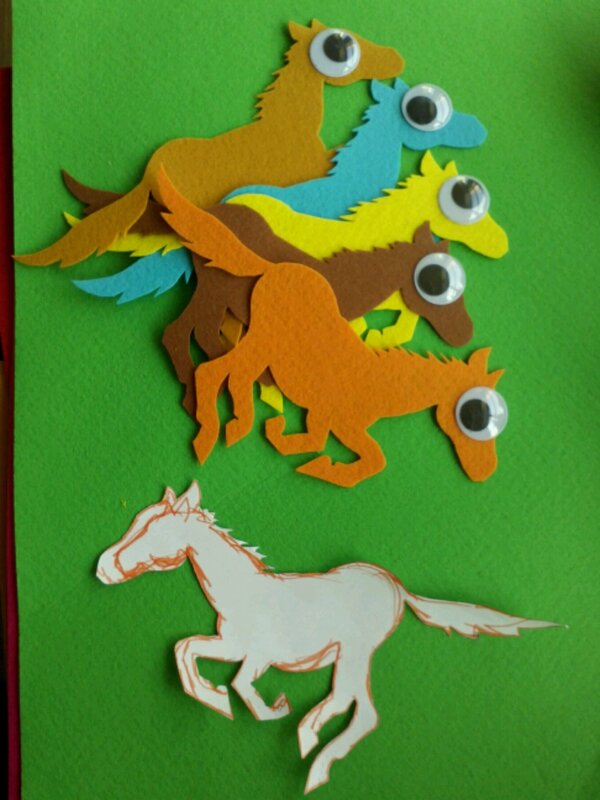 In other news, I spent the day cutting out felt horses. It’s for our reward-board at the back of the class, which we made a horse-racing theme (cuz it’s the year of the horse – so perfect!!!). Whenever a class is well-behaved or everyone brings their homework or generally follows the class rules to the letter, they’re moved forward a notch by one sticker on their race track. Oh, start of semester: how your goings-on entertain me. 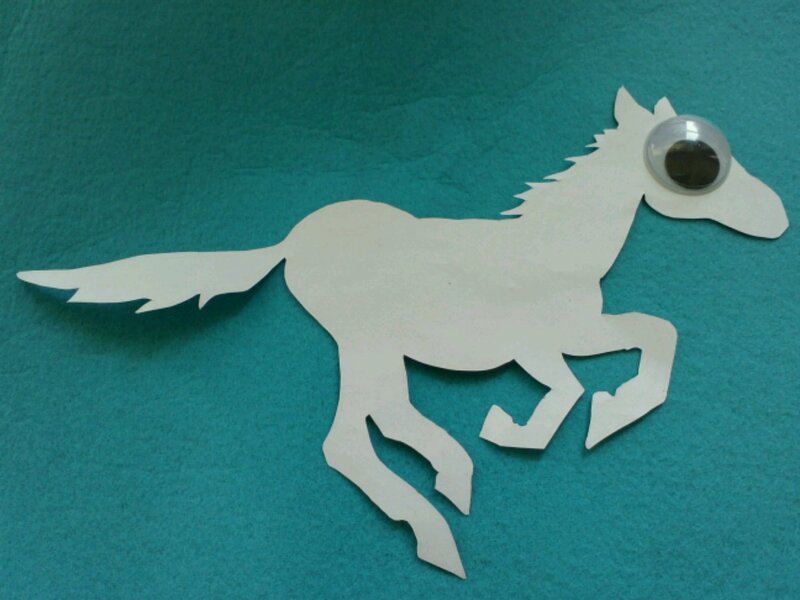 You are GREAT at cutting out horses! They are gorgeous. And I think the BIG eyes make them more fun and funky. Bigger smiles when looking at them. Inciting the spirit of competition amongst the students is clever, and should have them eating out of your hand, hence the horse race idea is perfect. I agree the big eyes have a lot of appeal, besides they help keep a watchful eye on the kids.